AST2818 mesylate is an EGFR inhibitor. 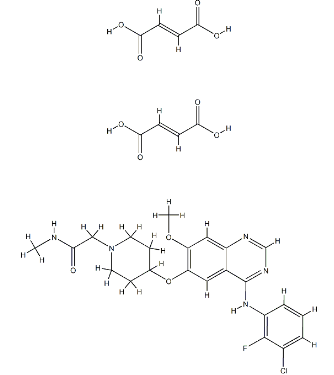 AST2818 is a third generation EGFR mutation selective tyrosine kinase inhibitor, inhibits EGFR active mutations as well as T790M acquired resistant mutation. 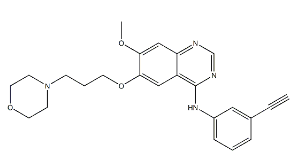 NRC-2694 is an epidermal growth factor receptor (EGFR) antagonist potentially for the treatment of solid tumors. 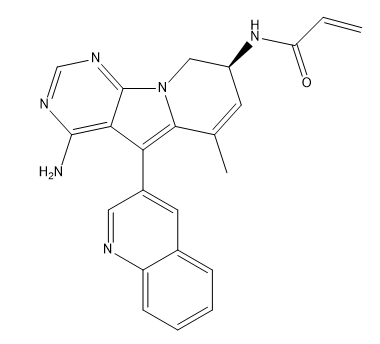 RX518 is an epidermal growth factor receptor (EGFR) inhibitor. JNJ-26483327 is a potent multi-kinase inhibitor against EGFR, HER2, and HER4 with IC50s of 9.6 nM, 18 nM and 40.3 nM, respectively.